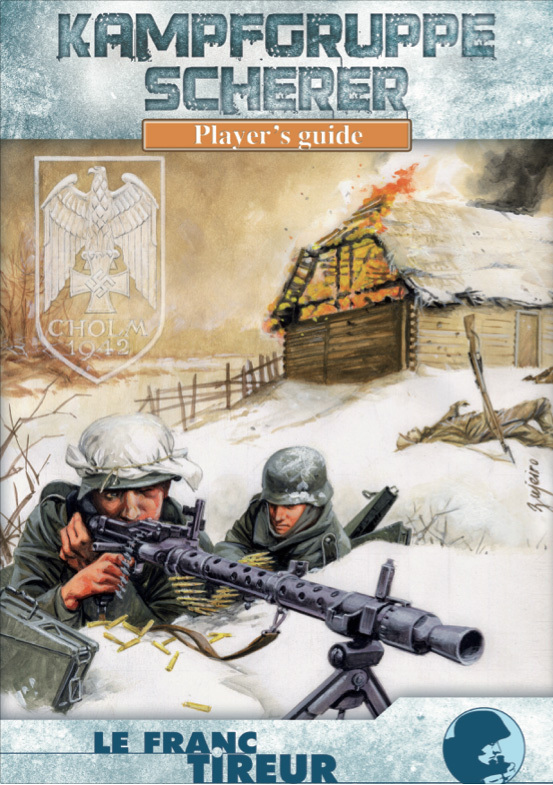 If you are quite certain that you want to miss the bantery discussion of some interesting films that Dave and Jeff have seen lately, as well as info on how crackers are made you can skip right to minute nineteen and get a close look at the Kampfgruppe Scherer Player's Guide. This guide can provide a big assist to you when you play the game. We are proud to present the last of our ASL Open interviews, with Bret Hildebrand and Mike Stubits, and this is one you won't want to miss. Why would you want to miss any of them? Do you really think he'll survive? Do you think he'll roll less than 5? Now he's taking the check, time to fret, And he rolled a 5 and he died. Happy & Safe Thanksgiving to Jeff and Dave, and all ASLers! Another great episode! I like the mix of banter, review and con interviews! Nice combination! Thank you Jack! And a Happy Thanksgiving to all from us! Hi, after listening to this episode I wonder if I should have bought Kampfgrupper Scherer when I had the chance or I did the right thing pre-ordering Corregidor. Thanks for another nice episode. Curious as to which song was being parodied in the opening. Ricardo, You probably can't go wrong either way. Louis, The song was sung to The Smiths' song "Girlfriend In A Coma"